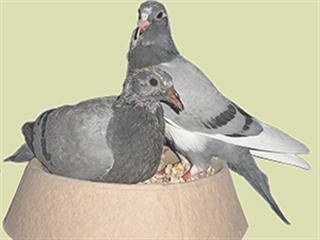 Caring for racing pigeons is a year-round activity. 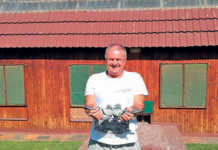 One cannot start nursing ill birds just before the season opens, says Thomas Smit. If your pigeons are not in the best of health, their quality doesn’t matter. At the same time, though, success doesn’t come from a medicine bottle! In fact, indiscriminate use of ‘medicine’ can ruin your racing season. Worse, the harm done to your pigeons may be irreversible. When we speak of the ‘365-day capsule’, we’re talking about attending to the health of your pigeons every day of the year. You can’t nurse pigeons that have been left chronically ill for months back to racing health with a crash course of treatment just before the racing season starts in May/June. Fanciers who genuinely love their pigeons will always look after them well. Sadly, though, you’ll often find even leading fanciers not following the basic guidelines meant to ensure healthy birds, such as vaccinating for pigeon pox and pigeon paramyxovirus, which is required by law. 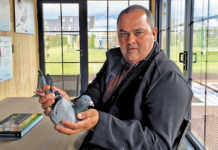 As a result, they place the entire South African pigeon colony at risk. Yes, designer pigeon health packages which work out at a cost of R1 per capsule are extremely expensive and beyond the means of many fanciers. But, as noted, there’s a wide variety of products out there, and shopping around will save you money. I’ve also found that there are expensive ‘must-buy’ products on the market that your pigeons don’t really need. Or you’ll be able to find a more affordable alternative that’s just as effective. Bear in mind the danger of ‘pigeon doping’ and avoid products not registered for use in pigeon racing. Also, make sure you know the rules and regulations relating to banned substances. 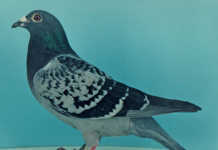 For the record, 57 pigeons were tested in 2012 for illegal substances. 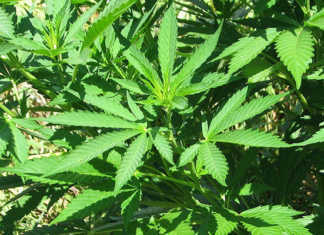 Of these, six (10%) tested positive. This is worrying, when you consider that fewer than 1% of pigeons participating in races were tested, and it could be that we have serious illegal substance abuse in pigeon racing. It has been suggested that birds in all the big-money races be tested and the test fee deducted from the prize money. A recent study shows that stress can be even more harmful than originally thought. When stressed, birds secrete the hormone corticosterone. This can be found in the blood as well as the feathers, which is where problems arise. Blood samples provide only a ‘snapshot’ of corticosterone in the blood at the moment the blood sample is drawn. Feathers, however, “reflect hormone levels during the time it takes feathers to grow”, says Christine Lattin, who led the study for Canada’s National Science Foundation. Stress hormones can be beneficial in the short-term, enhancing performance rather like adrenaline. But birds that experience high levels of stress for a sustained period will have lighter, weaker feathers, explains Lattin. She says elevated corticosterone levels could also affect birds’ health in other ways. To return to pigeon health as a whole. Every now and again, media reports surface dealing with the mistreatment of racing pigeons. Some are exaggerated and misinformed; others are not. The point is that nobody is above the law, and the sport, which includes its clubs and governing body, cannot expect special treatment or that its ‘sins’ remain hidden. Where negative reports are grossly inaccurate, these must be corrected. The public must be given an accurate picture of what the sport entails and how well our birds are cared for. Where media reports are accurate, steps must be taken to root out the culprits. Contact Thomas Smit on 011 680 4778 or at [email protected]. Please state ‘Pigeons’ in the subject line of your email.